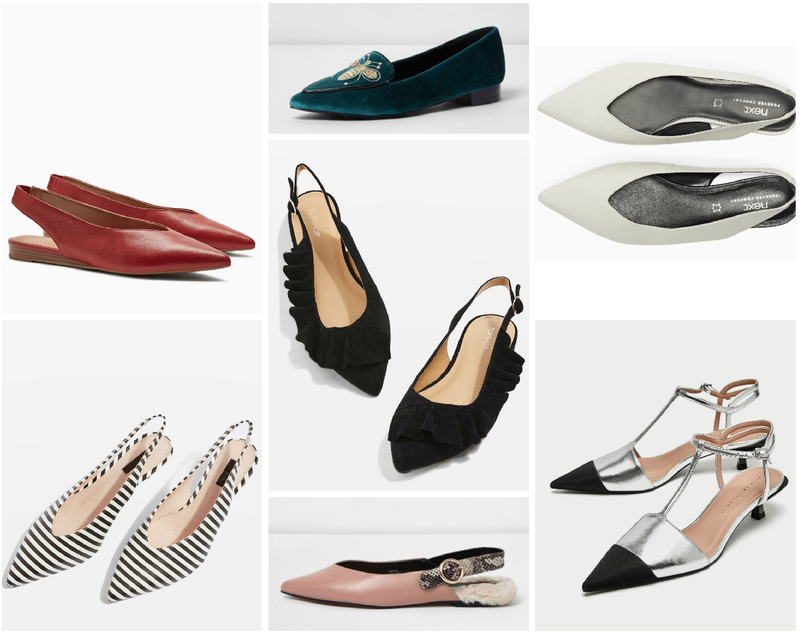 Pointed pumps have long been been my go-to. 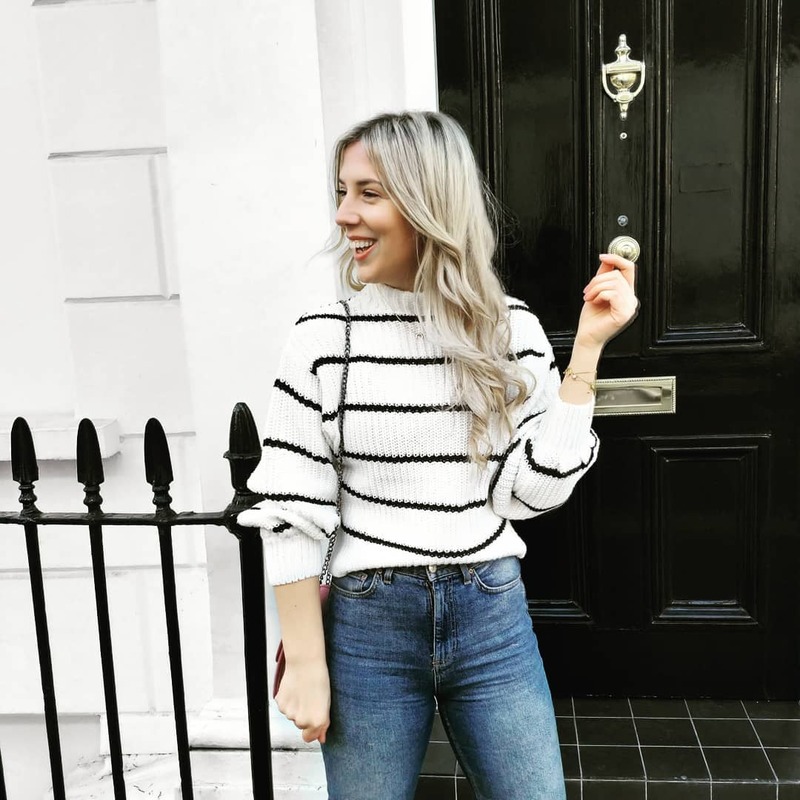 A fail-safe option in my wardrobe (and life...) not only do they help elongate my short little legs they help dress-up any and every look with ease. Last year I lived in my beloved M&S slingbacks which I eventually purchased in two different shades, switching between those and a red Next pair for practically every occasion. A pointed pump works as well with raw-hem jeans and a jumper for brunch as they do with tailored trousers and a shirt for the office. The endless styling options they offer from date night to summer weddings make the cost-per-wear equal out in no-time at all. 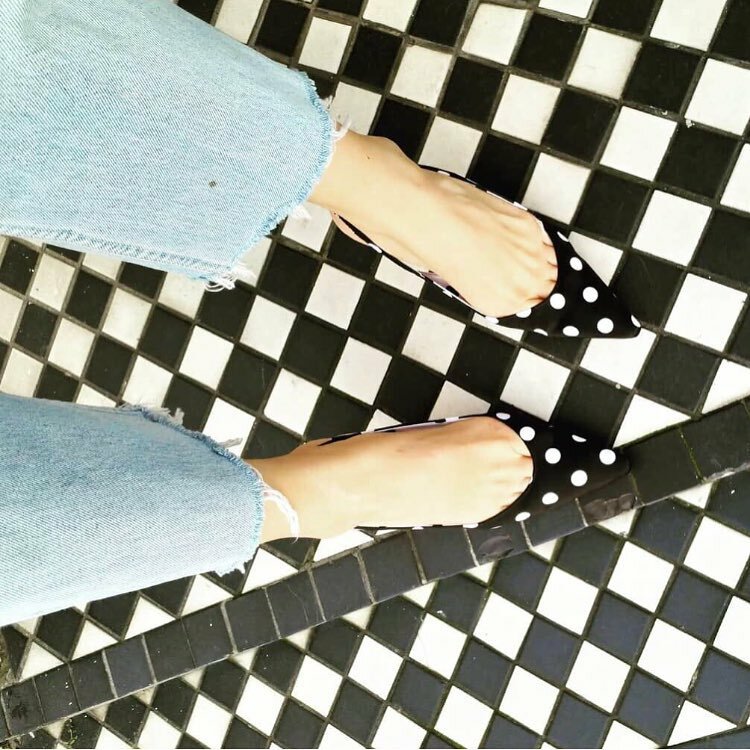 I absolutely love a low heel/flatter shoe (after working in the Selfridges Shoe Gallery for two years whilst I was at university I'm soooo over heels - and it's very rare that you'll find me in a pair!). If, like me, you love a pointed pump you'll be happy to hear that the revival of the 80s kitten heel is set to continue through 2018. After I rather hesitantly embraced sock boots last summer/winter (I was as surprised as a lot of you that, not only did they quickly become my go-to boot but that they were oh-so comfortable to boot.